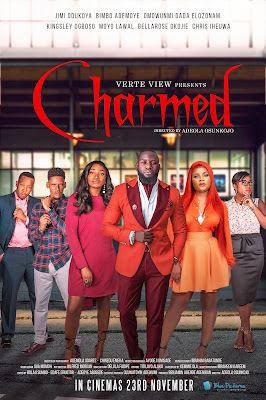 CHARMED, a romantic comedy film produced by Verte View is set to hit cinemas on Friday, November 23, 2018. 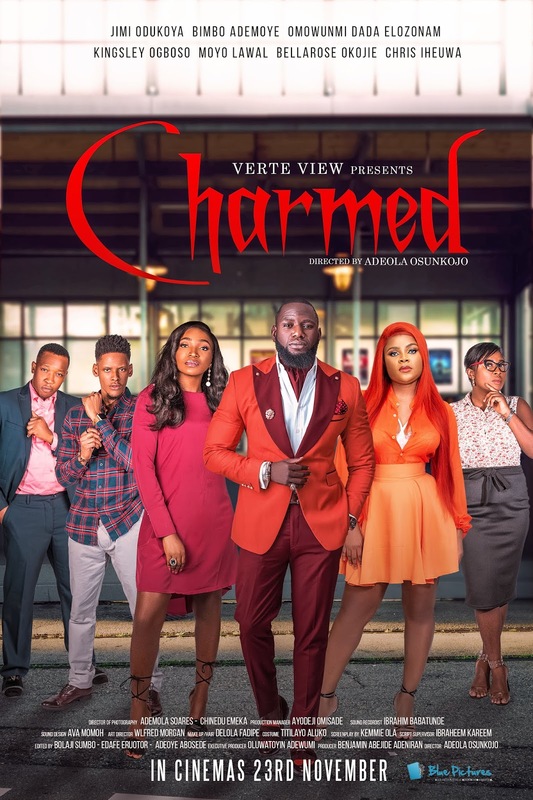 Jimi Odukoya and Bimbo Ademoye, the lead actors in CHARMED, are supported by actors Kingsley Ogboso, Elozonam, Omowunmi Dada, Chris Iheuwa, Moyo Lawal and BellaRose Okojie. Jimi Odukoya stars as David Hale, a cocky and ambitious young man who suddenly experiences a run of bad luck and is compelled to reverse the situation at all cost. Bimbo Ademoye is the uncoordinated and disorganised Lola Thomas who finds herself entangled in the web of friendship, love and her job after an encounter with David Hale. Written by Kemmie Ola, produced by Benjamin Abejide Adeniran and directed by Adeola Osunkojo; the film tells the story of career ambition, friendship and love that individuals experience in their everyday life.